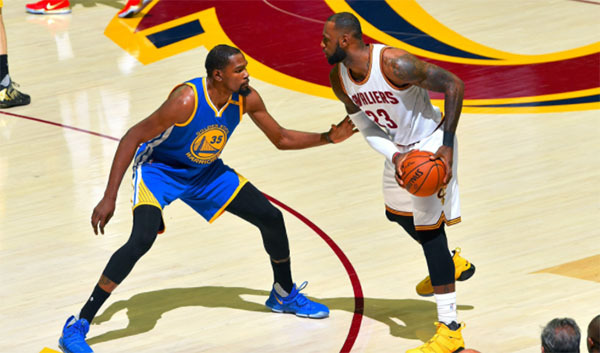 The Cleveland Cavaliers finally beats the Golden State Warriors in the Game 4 of NBA Finals championship series on Friday, June 9, 2017. The Cavaliers made a comeback in the Game 4 of NBA Finals finishing with 137-116 score, series score 3-1. It was Kyrie Irving who played best in Game 4 with 40 points. LeBron James made 11 assists. Warriors’ top performers are Kevin Durant with 35 points, Draymond Green with 14 rebounds and Stephen Curry with 10 assists. Warriors and the Cavaliers face off for the third time this season. Game 5 will be held again at the Oracle Arena on Monday, June 12, 2017. Below is Game 4 Replay and Highlights Full Video.